Bila Soorah! Without a Picture! 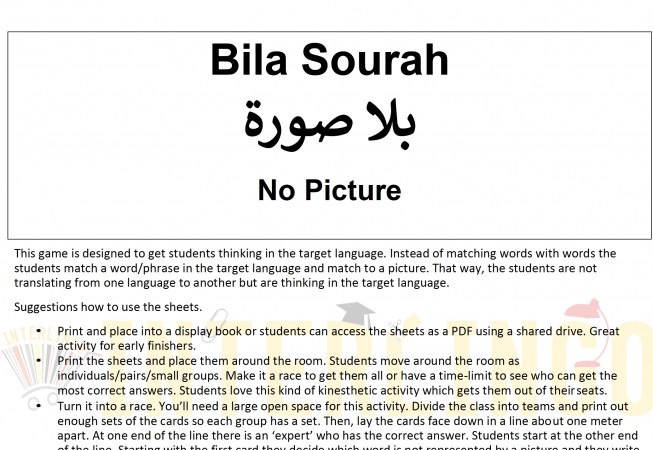 This game is designed to get students thinking in the target language. 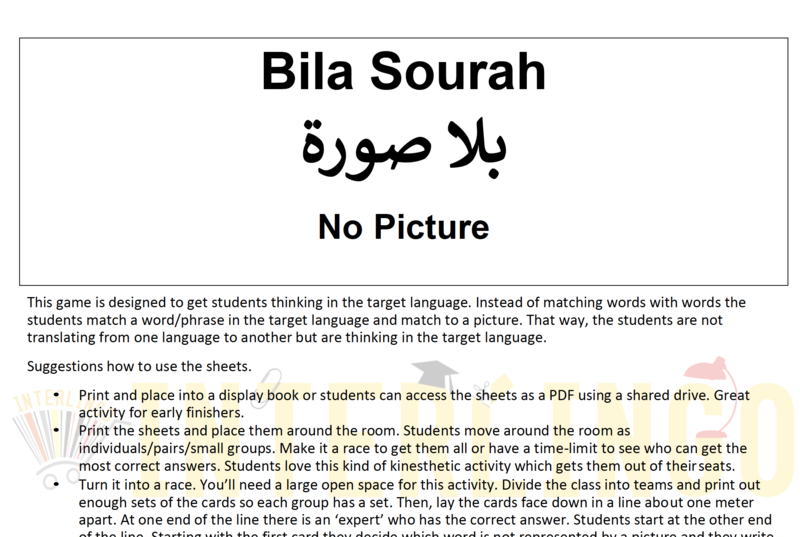 Instead of matching words with words the students match a word/phrase in the target language and match to a picture. That way, the students are not translating from one language to another but are thinking in the target language.